What is Group 4 Compression and how does it work? Group 4 Compression standard (or G4 compression) is a method of compressing black and white images used in modern fax machines that achieves great levels of compression (a compression ratio of 20:1 is achieved), a standard also used in TIFF type images and in PDF documents. The principle behind this method is vertical description of the image, where the info sent is not if every dot on the paper has black or white point, but info on every line on the paper with the description from where to where there are white and black lines. Naturally, this method works the best when the image is not too detailed and doesn’t have too many transitions between white and black bits. In this regard, the method is pretty similar to Huffman Compression, and it achieves further reduction in data transfer by omitting the “end of line” strings. In this regard, the method is pretty similar to Huffman Compression, and it achieves further reduction in data transfer by omitting the “end of line” strings. What is a Fax Demodulator and how does it work? Fax Demodulator is a small device that can be used to observe and intercept fax signals, whether over a phone line or radiofax signals. The main difference between a fax demodulator and a regular fax machine is the fact that demodulator is not able to modify the signal in any way, it is not able to establish a connection to fax machines or have any two-way information exchange with them. Fax Demodulators vary in form and shape, ranging from small devices used to intercept analog signals, to digital devices that can isolate a fax signal from digital and IP-based compressed signals going through T.38 standard fax connection. Use of fax demodulators is usually limited to monitoring PSTN and telephone communication lines by the police or similar services, and can very rarely be seen outside of wiretapping purposes. The fact that fax machines can not work while connected to the VoIP lines is very well known, but that doesn’t mean that there were no attempts to give fax machines and modems the ability to transfer data over standard IP networks in real time. One of the results of International Telecommunication Union in that regard is development of T.38 standard, created to give fax machines ability to use the internet to transfer faxes. The biggest problem in developing this method of fax communication is the fact that fax machines were using modems for transferring clear voice data, and the levels of compression that IP lines use are just too much for them to handle. This resulted resulting in failed transfers of data, or, at best, in random lines and dots on the receiver’s end. Which are T.38 biggest advantages? What T.38 standard allows is that IP friendly fax machines send multiple sets of each packet containing data, and gives these faxes the ability to assemble the final fax message by comparing all of the packets of data, taking into the account only the packets that arrived completely. 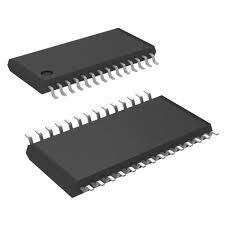 This increases the amount of data passing through the IP network, but reduces the errors during transfer. This recommendation for fax transfer standards takes into the account spoofing of data and buffering, which increased the demand for raw processing power on the side of the both sender and receiver devices. Reduction of raw data being transferred and the ability to use some of the modern existing networks is more than worth the offset, and many of the current models of fax machines have the T.38 standards capabilities. Faxing technologies predate internet, even TV and phone lines – faxing has been around and has changed significantly over the years. Here’s a brief run on how fax machines work looking at the technical side of things. Definition of faxing shows us that we need the ability to create an exact copy of a document using electronic scanning and telecommunication lines to transmit the scanned data to a remote location where it can be printed. Early models of fax machines had a very binary type of connection, they were using one tone if there was image on a certain part of the page, and another tone if there was. This would result in a “pixely” printing with white and black dots being lined up on a page to form a fax copy. Today’s fax machines are much closer in what they can do to a regular scanner and printer, with very high dot density that allows for sharp and clear copies to be transmitted, and the speed of transfer is barely a limiting factor at all. The sending fax machine dials the number of the receiver as if it were a phone line and waits for the receiver to pick up (the receivers are usually set to automatically pick up after 2-3 rings). As soon as the connection is established, the sender and receiver start exchanging series of information in the form of series of beeps – the sound that you may have heard if you ever dialed a fax number by mistake. The info being exchanged here is called the Handshake – the machines agree on the protocols used for sending and receiving data, test the quality of connection and get ready to send/receive the message. Once all of this info is exchanged, they start the transfer of data. After a successful handshake the machines should have selected one of the common protocols for sending the information (they pick the fastest common protocol) and the transfer of data begins. 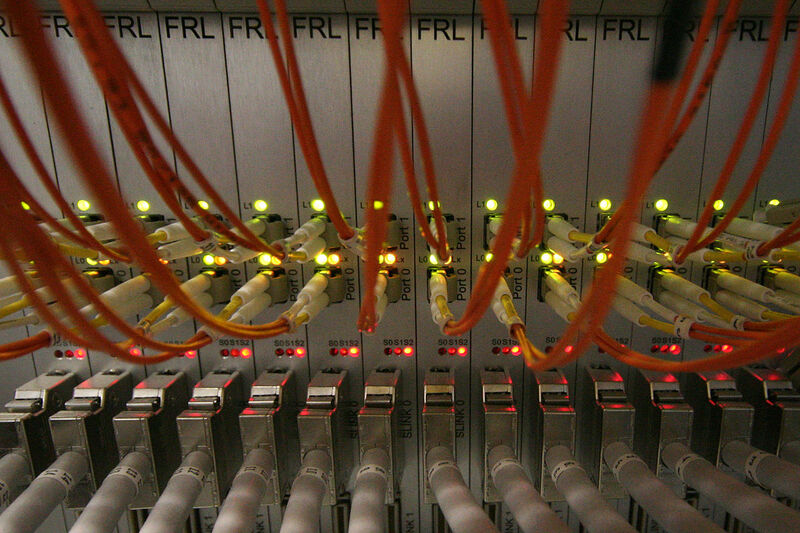 When the transmitter sends the signal that all of the data has been sent, it does not automatically disconnect – it waits for the return signal from the receiver that is the confirmation code, letting the sending machine know that the transfer was completed successfully, only then is the line disconnected. Modern fax machines have many different protocols available for sending and receiving data this way, but some even allow sending of a fax message directly to an e-mail, or saving the received document directly to the PC as a PDF document without printing – they are much closer to multipurpose machines, with a scanner, a printer and a fax modem being bundled into one frame, than a dedicated fax machine just for sending and receiving faxes. 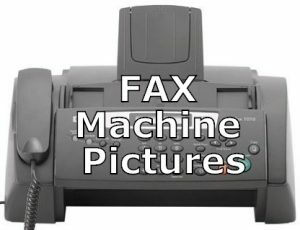 Fax machines/ fax technology has been around for a while, and most people expect everybody is familiar with how that technology works. However, generation of people brought up on e-mail, and instant messaging has reached the point where they are taking an active part in the business world, and they just may not have gotten in touch with faxing before. So here’s a brief run-down on how faxing works, how to set up a fax machine and what are the most common features. The first thing to keep in mind that although faxing is essentially using electromagnetic signals to transfer info from one place to another, it’s is a partly analog method of transferring data, and that imposes certain limitations, which will be explained in this article. 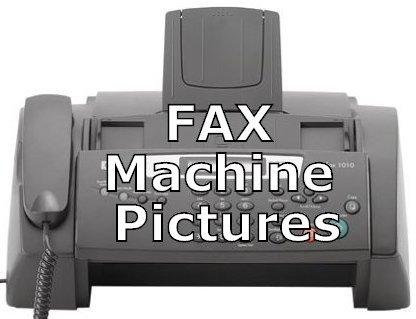 Faxing is a phone call between two fax machines, one of them being the caller (transmitter) and the other being a receiver. 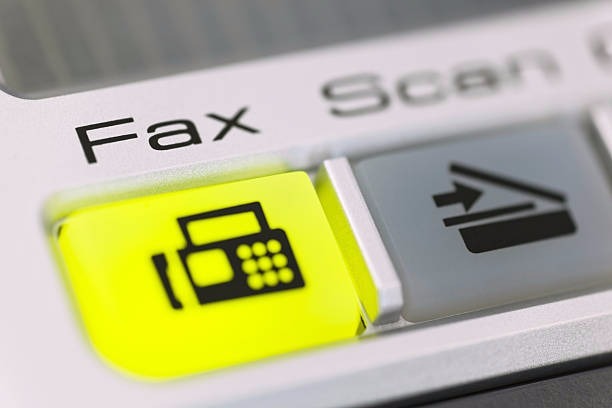 To use a fax machine, you need to have a fax number (you can check out our guide for getting a fax number), a connected landline and, of course, a fax machine itself. When everything is set up all right, the caller will ring the receiver, the receiver will pick up the line, they will exchange information on the protocols used. 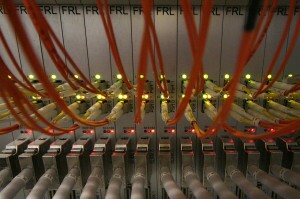 Different machines may be using different protocols, but each machine can use several. Fax machines agree on the fastest protocol they can both use before the data transfer starts). Once the transfer is done, the receiver sends a ring back to the transmitter to notify it that the message has been received, and that’s the short story of how things function. That is why dialing fax numbers with your regular phone gets you screeching noises (that’s the receiver trying to identify the caller fax machine) and why you can’t use fax machines with a VoIP line (too many interference and inaccuracies during the digital compression processes VoIP lines use for fax to be able to understand the info). To start, you will need to have a working landline phone (internet line will not work, you need a dedicated landline for faxing) and a fax number, a working fax machine with all the equipment it needs (power cord, phone cord), toner or ink cartridge for your fax machine, blank paper and a document for sending. Open the box and make sure all of the parts of your fax machine are there. Check the user manual, one of the first pages will have the list of items which are supposed to be there. Insert the color cartridges into their slots and make sure they are properly connected. Add paper to the paper tray (don’t fill it all the way up, leave some space) and make sure it’s the correct type – most of the fax machines use regular plain paper, but some of the machines require thermal paper. Consult your fax machine’s user manual to make sure you’re using the correct kind. To avoid paper jams, you should only use the quality paper that hasn’t been crumpled or used before. More on avoiding and managing paper jams can be seen here. At this point, you are ready to connect the landline to the fax machine. Most fax machines have two line ports one next to another, but they are not the same, you need to make sure you plug the fax line in the fax slot, and the other slot is to allow your phone line to work. Check the phone connection, if you get a dial tone when you pick up the fax’s phone, you’ve connected everything right. Neither of the ports should be used to connect to the PC’s ethernet port unless there’s a port for making a LAN connection to the PC – fax technology requires clean dialing signal that gets scrambled as it passes through a PC modem – which is why fax machines can’t work with VoIP lines. Set up everything you need to send and receive faxes properly. Automatic/Manual receiving mode – this is an important one, as it decides if your fax machine picks up and gets a message automatically after a few rings, or if you need to press the “answer” button for it to get the message. Automatic should be the default setting as you want to receive fax messages even when you are not next to the fax machine. Confirmation page – this is a crucial feature if you’re faxing legally binding documents – confirmation page is accepted as proof that the receiver got the message. If you’re sending documents that you don’t need proof of delivery for, you can turn this feature off, and the fax will just briefly flash a confirmation message at you on the fax machine screen, without printing anything. Fax header – one of the odd features of the faxing is that the receiver does not necessarily know where the message originated from. Setting up a fax header fixes that, as you can instruct your fax device to send the TSID and CSID info – ID info at the top of the fax message containing the fax line and info about the sending device. You will have to enter this data into the device manually, as it does not know what the phone line you are using just by the virtue of being connected to it. Now you should be ready to run the test to see if the fax is working – if your phone line is ringing and if inbound faxes are being printed properly. Most models allow for a test call to the manufacturer and have a test call back with a test fax to show if everything is setup properly. Alternatively, you can have someone send you a fax and see if you get it. Once everything is set up, you need two things to send a fax – a document to send and the receiver’s phone number. Take the document you wish to send and place it the proper side in your fax drive’s document feeder (a small icon on the fax should show you the right direction), dial the number you want to send to (along with international code if you want to send a fax message internationally) and hit the SEND button. Wait for the transmission to end, and then wait for the confirmation message. If you’ve set up everything right, receiving a fax is a very passive action requiring very little input from your side. As long as there’s enough color in the fax’s printing cartridges and there are empty sheets of paper available, the fax machine set to automatic receive will accept a call, receive the message, print it out and send back a “receive” signal on its own. If there are some issues with the printed fax, ask the sender to send it again, if the problem persists, it’s a problem on your end. Otherwise, it’s an issue with the signal transfer. Some of the fax machines offer wireless connectivity, so that may lead you to believe they don’t need a landline to send or receive messages. This is a common mistake to make – as of now, all fax machines require a dedicated land line to function, having WiFi/Bluetooth or GSM connectivity capabilities only means that they can connect to local PC or another smart device for remote control and settings purposes, they still require a line with a dial tone to do the actual faxing. Read more in our “how to fax wirelessly” guide. Most of the fax machines are multi-purpose office tools which can double as other machines as well. Namely, scanner, printer, and a copy machine – not every scan the machine makes has to be faxed somewhere! If your fax is connected to a PC, you can get digital copies of your documents immediately, or you can just make copies of the document for yourself. Modern fax machines which are connected to the internet via a PC can immediately fax a document to e-mail, without you having to scan a document then write an e-mail to that document as an attachment. It speeds things up, and if you only need to send an e-mail with a document and no additional text, this is the fastest option. This is one of the most troublesome features of the fax machines. In theory, it gives the fax machine an ability to receive a fax message and at the same time queue up the next fax message or let you hold a telephone call, but it’s something that needs to be set up on the line provider’s end, and not all fax machines can deal with this, even when they are declared to support that technology – there are too many parts of the signal transfer that can go wrong. If something happens to the fax being received – a paper jam or if the toner runs out of ink or anything like that, the fax is not necessarily lost, as most modern fax machines store the last few faxes in the internal memory, allowing you to print them out if your copy is damaged in some way. If you want to send the same fax message to multiple recipients, you do not need to sit next to the machine and dial recipients one after another; you can just dial them all in and let the machine do its work. The transfer is not simultaneous, the fax machine still calls one receiver after another and sends out one file at a time, but you can queue up the numbers and step away from the fax machine. If you’re sending messages to a specific set of fax numbers over and over again, you may want to add them to your speed dial, so you don’t have to enter the whole number every time you send a message. Some machines have a limited amount of speed dial slots, others allow for a huge number of pre-memorized numbers, as long as you take the time to set them up. 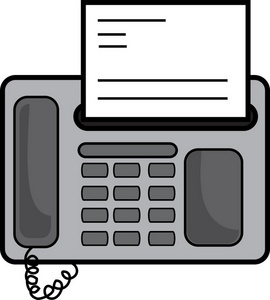 Multipurpose fax machines often have a corded phone attached to the whole rig, letting you use your fax machine and landline as a regular phone as well. A very useful feature that lets you avoid having to pay for two lines, one for faxing and the other for verbal communication. American paper standards are Letter and Legal while most other countries use A4, and fax machines can adjust the received document’s size to fit it on the paper that’s in the paper tray. There are differences in speed standards between new and old fax machines, and most of the new ones support more than 3-4 protocols for sending data. When they connect, they will automatically find the fastest universal standard and use it to send/receive data with, no need for any additional input on your end. Fax modem cards let your computer act as an impromptu fax machine, letting it send and receive fax documents with ease. This was a perfect solution for small offices that wanted to save space. Some fax modems double up as dial-up modems, allowing for a dial-up connection at the same time. Fax modems which work only as fax modems are also called fax boards. 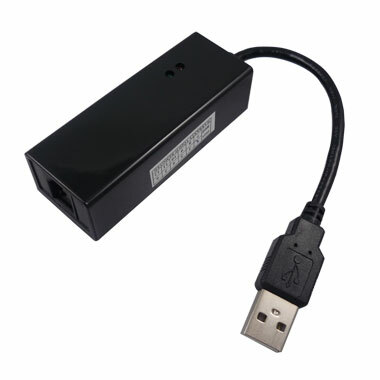 Like most PC peripherals, fax modems can be internal and external. Fax modems convert digital information to an audio signal that fax machines can understand. If you’ve ever dialed a fax line, the series of screeches and beeps you hear is fax modem trying to establish a connection to another fax modem in preparation for data transfer. What do I need to use a fax modem? To install a fax modem, you will need a PC running a Windows or Linux OS, a free PCI slot in case of internal modems or a USB slot in case of an external modem (very useful if you want to send and receive faxes from your laptop). A fax landline is also necessary, as there is no WiFi equivalent of fax modems – they require a land connection to operate, and VoIP lines are not compatible with faxing. Installing and setting up a fax modem on it’s own is not enough to give you the ability to send and receive faxes immediately, you also need to run some faxing software. There are plenty of options for both Windows and Linux platforms. Unfortunately, modern versions of OS X don’t support fax modems. Online faxing services are slowly but inevitably replacing the need for fax modems, but you can still find fax modems with most online retailers, and they will not set you back too much – depending on the model, the price tag should be between $15 and $50 the most. Before purchase, make sure your version of OS is compatible with fax modems (they should be, unless you are running some modified OS or if you’re buying a timeworn fax modem with no drivers for modern PCs). Also, modern machines don’t usually come with preinstalled fax modems, but if you’re using an older office PC, you just might have a fax modem installed already. Check the user manual for your PC, or check the device manager. What is the difference between using fax modems and fax machines? Fax machines usually come in the form of multi-purpose device which can pull double duty as a scanner and a printer. Fax modems don’t have those benefits. On the other hand, fax modems are much more affordable, and they don’t take up any additional space – even external fax modems are very small, making them perfect for smaller office space. Also, you can operate a fax modem, sending and receiving fax messages, without having to move from your office chair, while you’d have to get physically to a fax machine to operate it, and if it’s a shared office fax machine, you may have to wait for your turn. Test drive our #1 online fax service choice. Click here!